Arabic language learning for children has never been easier. 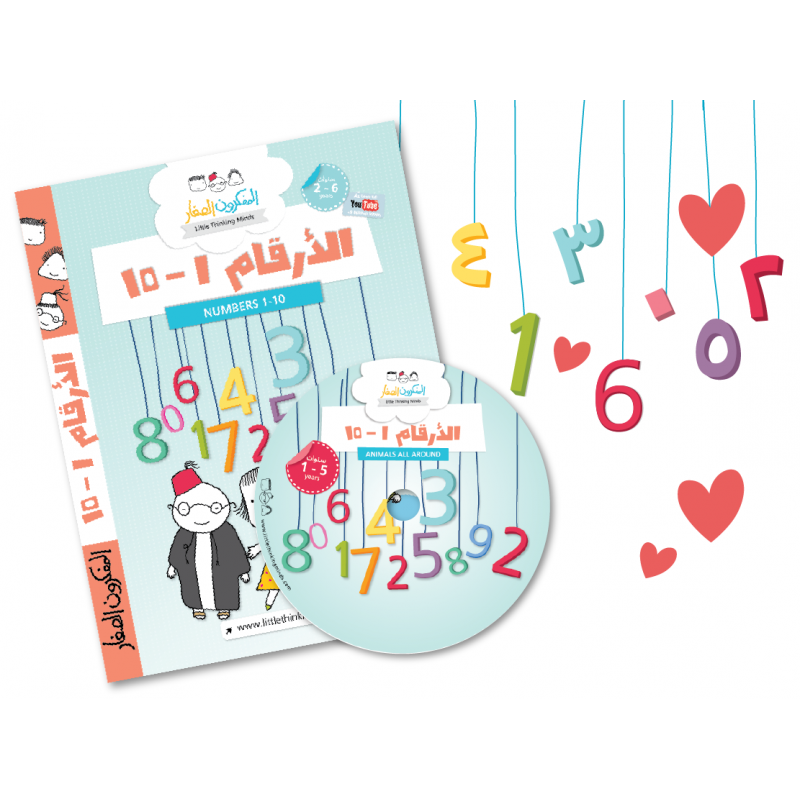 "Numbers from 1-10" is a playful and interactive introduction to Arabic numbers from 1 to 10 to teach children count in Arabic while enhancing their Arabic language vocabulary. This Arabic children's DVD exposes little ones to the concept of counting and reinforces number recognition through repetition, songs and the usual medley of animation, puppet skits and nursery rhymes while learning Arabic. Cute kids, happy songs, and colorful animation make this film a valuable addition to your essential Arabic language learning library. The DVD is suitable for native Arabic speakers and non-native Arabic speakers filled with Arabic nursery rhymes and songs to help teach children the Arabic language.